The Israeli military operation to uncover and eliminate cross-border Hezbollah attack tunnels has mobilized UNIFIL, the U.N. team tasked with policing the Israel–Lebanon border. On Wednesday, after reports of IDF targeting tunnels whose origins were in a civilian brick factory, a meeting was held by Israel, Lebanon and UNIFIL at the Rosh Hanikra border crossing to discuss Israel’s plans for the tunnels. The meeting was said to have been scheduled well before the start of the operation, but provided an opportunity for the Israel Defense Forces to present information about its operation, dubbed Northern Shield. UNIFIL said it is deploying a “technical team” to Israel on Thursday to “ascertain the facts” about Israel’s activities around the border area. The Israeli military refused comment on the contents of the meeting. Earlier today, a Lebanese government official said Israel has not provided the country, whose parliament includes Hezbollah’s political party, with its intelligence proving the existence and locations of the Hezbollah tunnels. UNIFIL is responsible for enforcing U.N. 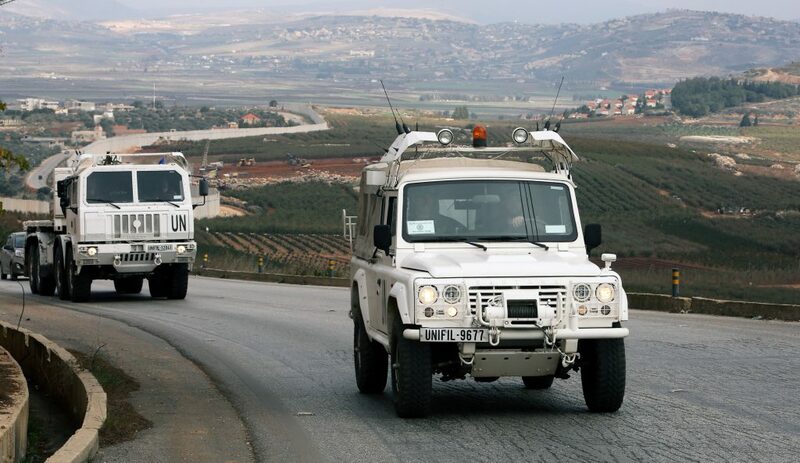 Resolution 1701, which ended the 2006 Second Lebanon War and required Hezbollah and all other armed groups besides the Lebanese military to remain north of the country’s Litani River — something Israel has repeatedly charged the U.N. peacekeeping force fails to do.